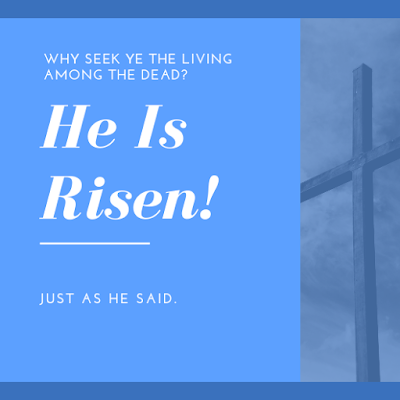 Today's post is the continuation of yesterday's look into Jesus' last days on earth. To read the first part, click here. Jesus already knew He would be mocked this way. He knew their spite, dressing Him up like fake royalty. But He also knew that all this would come full circle, and the robe would mean everything. Jesus Christ took on the form of man. 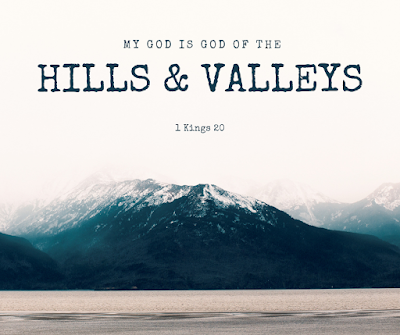 He walked the same paths we're walking today. Our human hearts forget that, though, as we let situations and circumstances block that out. When we're feeling alone or hurt or sad, Jesus knows. And He can relate because He's been there. But at the same time, He was still completely God. He was never surprised by the twists and turns of life, and He knew the significance of each event. 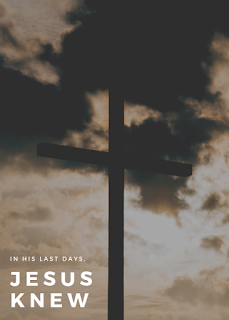 As we look through the last days of His life, we can clearly see that Jesus knew. Make Easter morning breakfast simple and tasty with a cresent ring. Fill it with some favorite breakfast ingredients and enjoy more time with your family instead of slaving over the stove. 2. Beat four eggs with a splash of milk. Scramble in a small skillet. 3. Open both cans of crescents and fan them around a pizza pan. A small bowl upside down in the middle will help make your circle. 4. 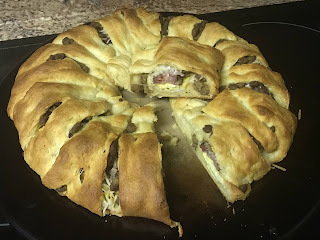 Layer eggs, bacon, sausage and cheese around the thick, inside part of the ring. 5. Remove the bowl and fold up the points of each cresent and tuck it under in the middle. 6. Bake at 375 degrees for 25-30 minutes, until the cresents are browned and the cheese is melted. I had the joy of making a set of custom cards for a friend last week. She blessed my heart because she is dealing with a serious health problem, but she still has other people on her mind. That’s why I was delighted to make these cards for her. 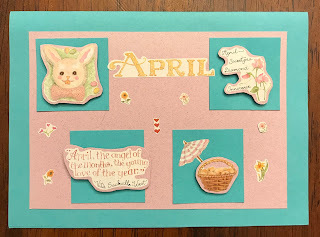 I had been given a boatload of greeting cards to upcycle, and several of them just screamed “make me into a birthday card!” With some of them, I was able to punch out the images and repurpose them as a fun border. Others had big, beautiful sentiments on them that I could cut out and raise on 3D adhesive. This might be my favorite card of all. It’s made in shades of green, and each little word or phrase just needed a little color around the edges to make it stand out. Finally, I was asked to make some masculine birthday cards, since they’re so difficult to find at the store. That’s why I adore these feathers, especially with the metallic birthday sentiment in the middle. On Saturday night, we noticed some lights on top of the ridge. We have two neighbors back that direction, but we weren't concerned just yet. As the lights continued to grow, we realized they were tiny fires, like they were working on a burn pile. Over the span of a few minutes, the fires had grown considerably. We continued watching them grow and spread until we were getting concerned. It's been fairly dry here over the past couple of weeks, and a good wind would send the flames in our direction. It wasn't long before we saw flashing lights and heard the sirens of the fire trucks coming. The flames were huge, and it took the better part of an hour to put them out. We so appreciate our fire department for stopping what could have been a disastrous situation.